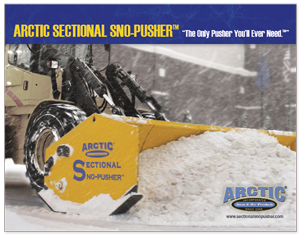 Time after time, no other plow clears a parking lot like the Sectional Sno-Pusher™ from Arctic®. 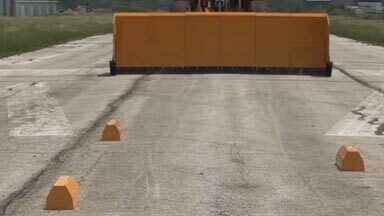 Our unique sectional design allows the plow to follow the contour of the surface grade, clearing down to the pavement on the first pass, while at the same time protecting your lot, your equipment, and your operator. 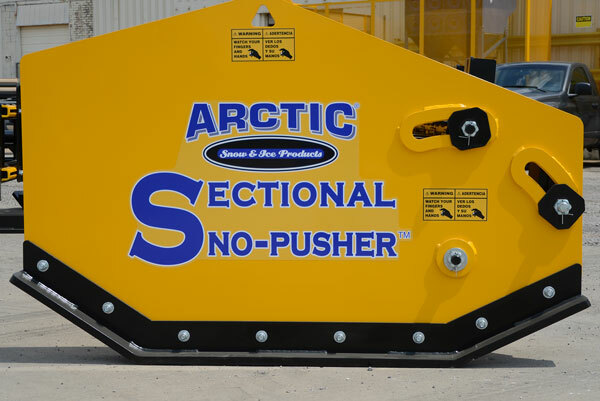 See what sets Arctic's Sectional Sno-Pusher™ apart. — We may be imitated but we’re never duplicated! 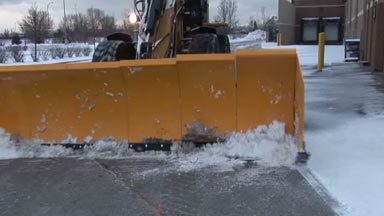 Time after time, no other plow clears a parking lot like the Sectional Sno-Pusher™ from Arctic®. 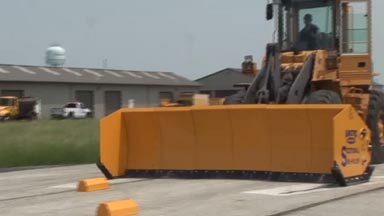 Our unique sectional design allows the plow to follow the contour of the surface grade, clearing down to the pavement on the first pass, while at the same time protecting your lot, your equipment, and your operator. 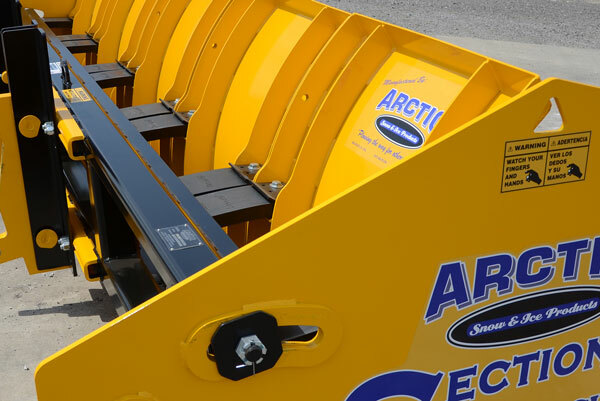 See what sets Arctic's Sectional Sno-Pusher™ apart. We may be imitated but we’re never duplicated! Each individual moldboard section independently trips over unseen obstacles beneath the snow. 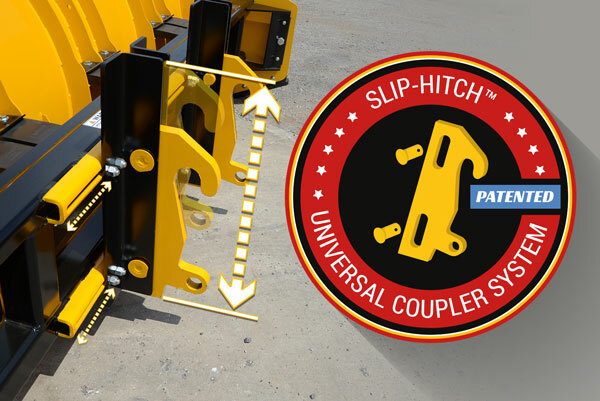 With the patented floating Slip-Hitch™ design, just drop the pusher and go! It will automatically adjust and then continuously readjust to the pavement height, ensuring premium traction, reduced drag and optimum pushing power. 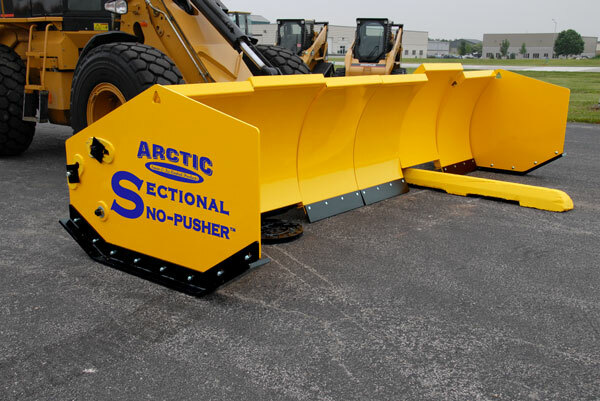 The patented design of the Sectional Sno-Pusher™ features mechanical side panels that lift up to 9 inches high to glide over and around obstacles, providing 75% higher clearance height than competitive models. 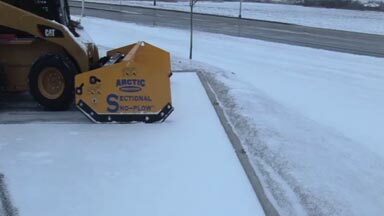 Arctic's AR-400 hardened steel cutting edges scrape compacted snow and ice down to pavement, eliminating follow-up plowing and reducing your salt usage. Durable, specially-engineered polyurethane mounting blocks secure each moldboard section to the pusher's mainframe, absorbing impact to protect the pusher, carrier and operator. Three torsion springs fasten to the steel cutting edge of each independent section. 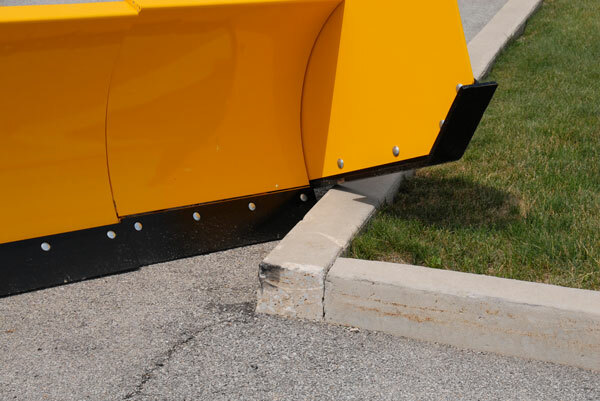 CD6.5 974 lbs 78.5" 26" 50"
CD8.5 1,025 lbs 102.5" 26" 50"
Pushers are compatible with small skid-steers, compact tractors and small wheel loaders and offer the perfect solution for clearing small parking lots, sidewalks and larger driveways. 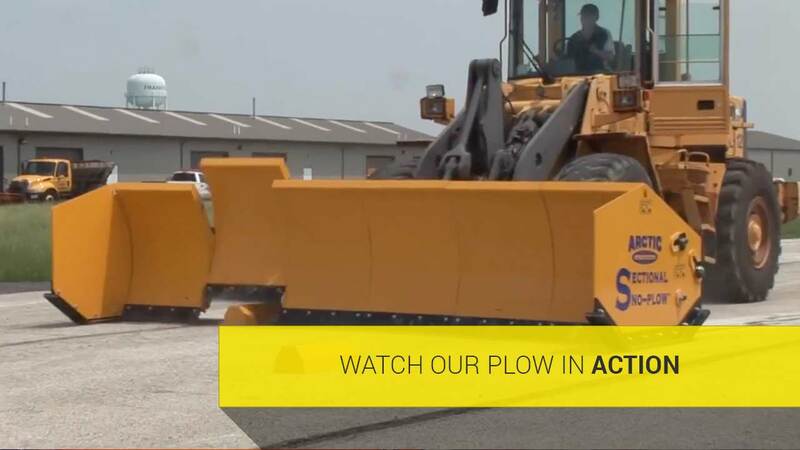 Designed by a veteran snow and ice removal contractor, the Sectional Sno-Pushers are unlike any snowplow you've ever used, combining the precision of a smaller pusher with the performance and capacity of a much larger unit. 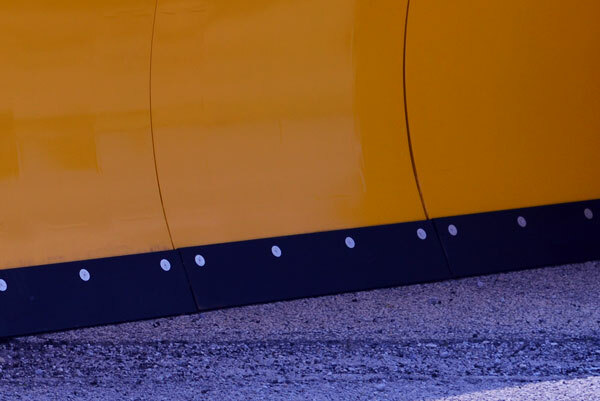 Whether you're new to the snow removal game, extending your summer landscaping or construction business into snow removal or a well-established contractor, the CD series offer a great solution for those small, tough to get into spaces. Our CD plows have successfully been serving customers in the facility management, agricultural and estate owner areas for years. HD11.5 3,190 lbs 137.5" 47" 73"
HD14 3,592 lbs 169.5" 47" 73"
HD17 4,004 lbs 201.5" 47" 73"
HD19 4,468 lbs 233.5" 47" 73"
HD22 4,878 lbs 265" 47" 73"
HD27.5 5,288 lbs 329.5" 47" 73"
Pushers include a host of innovative features designed for maximum productivity, and are compatible with a variety of large equipment including wheel loaders, backhoes, skid-steers, tractors and telehandlers. 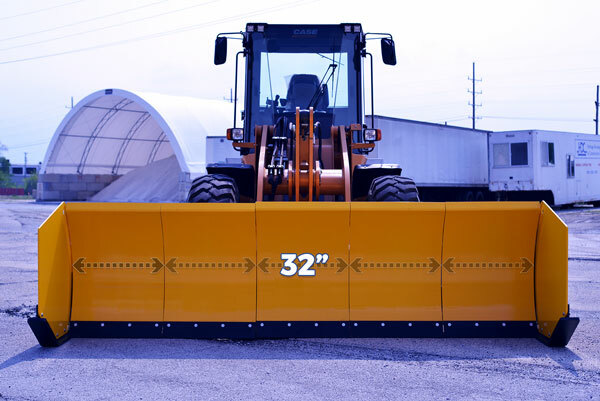 Sectional Sno-Pusher’s HD line is ideal for professional snow and ice management professionals that face the difficult challenges of today’s squeezed profit margins and skyrocketing expenses. These pushers, along with the CD and LD models, boost profits by cutting fuel costs, labor and maintenance and repair bills while skyrocketing efficiency and customer satisfaction. 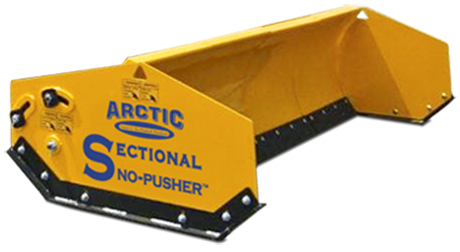 The Sectional Sno-Pusher’s will give your business the competitive advantage you need to succeed in this difficult competitive environment.